October is National Bullying Prevention Month. This campaign was founded in 2006, and it unites communities around the world to educate and raise awareness of bullying prevention, and how to keep kids safe at school, online, and in the community. 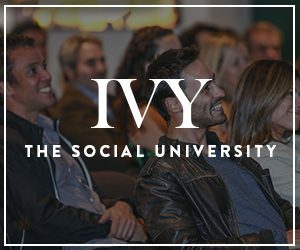 To learn more about this global movement, IVY’s Director of Social Impact, Anabay Sullivan, sat down with Jane Clementi. Jane’s son, Tyler, was the victim of a horrible act of cyberbullying at Rutgers University in 2010. At the age of 18, Tyler took his own life several days after the experience. His death brought national attention to the issue of cyberbullying and the harassment facing LGBT youth. In the wake of Tyler’s passing, Jane co-founded the Tyler Clementi Foundation, which is on a mission to end online and offline bullying. The Foundation also sheds light on the important distinction between in-person bullying and cyberbullying. In this conversation, Jane talks about her inspiration to share Tyler’s story, why bullying exists, and how to teach our youth to navigate the complex world of cyberbullying in the age of social media. Please enjoy our conversation with Jane Clementi.